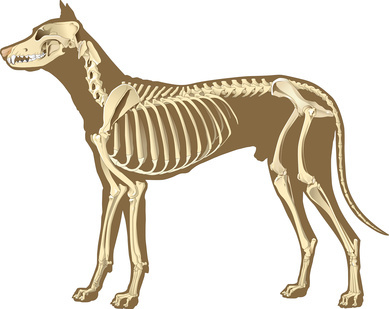 This course explains canine anatomy, how conformation affects function, including the skeleton, muscle structure, the joints, movement, form, function, balance and size. On completion, the breeder or dog owner will have a full understanding of anatomy, conformation, and how to utilise this knowledge in breeding programs and in understanding gait and form and function. It is designed to benefit those who have an interest in understanding how anatomy can be used in selection and prevention of heritable anatomical disorders. It will help to understand breed standards which are usually written to some degree with an assumption that the reader has a basic knowledge of canine anatomy. The better the knowledge of correct anatomical structure the easier and more accurate the selection process becomes. By the completion of this course the student will have an understanding of basic canine anatomy, and applying their knowledge to real dogs where bones and angles are hidden beneath the surface. They will understand that although anatomy involves individual parts of the dog no one part is more important than the whole dog. They will know the distinctions between breeds and how the similarities and differences among other breeds help in understanding their own breed and prevention of heritable defects.